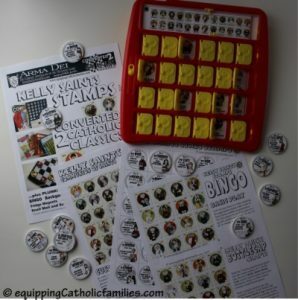 This Kelly SaintsTM Stamps Craft Kit is available as a comprehensive PDF craft kit you can print at home! 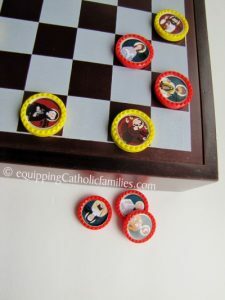 Transform your Checkers game…with the Saints! 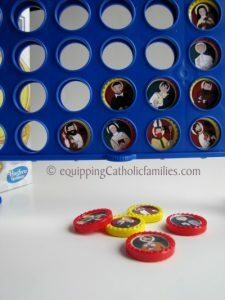 Connect4 ! 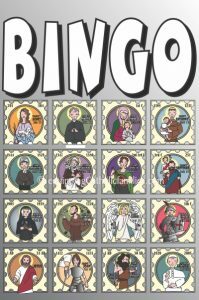 Connect four of your favorite Saints! 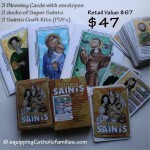 You’ll get really good with your facts about the Saints…to keep them guessing! 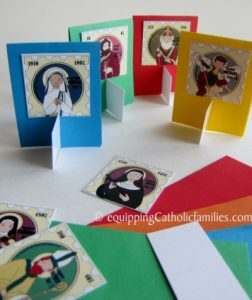 Transform Monopoly …and all your classic board games requiring individual player pieces…with the Saints! 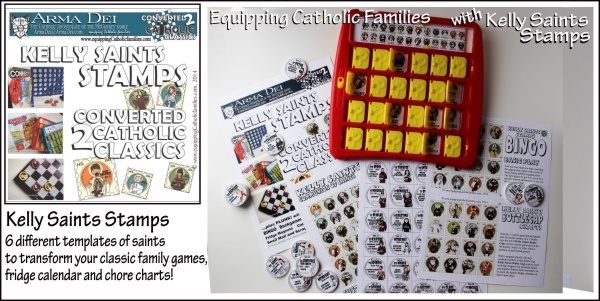 In fact…each family member might stick with their favorite saint piece, across all of your family’s favorite games! 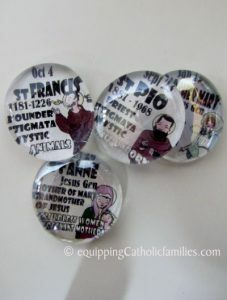 Make Saint markers or magnets with glass pebbles and add a layer of fun to even more classic games, fridge calendars, award tokens. 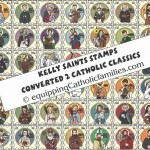 How will YOU use your Kelly SaintsTM Stamps? !